As Puerto Rico continues to struggle to recover from Hurricane Maria, I am writing to let you know about Cornell’s assistance to students of the University of Puerto Rico and how you as an individual can help too. The island, as you know, was devastated, and a recent report estimates that 60% of the people are still without electricity. Many also lack running water. While the university is open, it is unable to operate at full strength and has requested assistance from mainland universities. 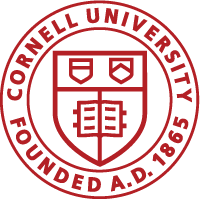 In response, Cornell has offered a free semester in spring 2018 for up to 58 UPR students. Continuing Education and Summer Sessions, which is coordinating the program, has been receiving hundreds of emails and phone calls each week about the offer, and applications are under consideration. Although Cornell is providing free tuition, room, and board, many of these students still face considerable expenses in coming here, including airfare, winter clothing, books, and supplies. To assist these students, Alumni Affairs and Development has set up a crowd-funding site for the Cornell-UPR Interuniversity Relief Program. From now through December 6, the goal is to raise $40,000 to help defray students’ expenses. It’s easy to contribute, and any amount will help. Please join me in going to https://crowdfunding.cornell.edu/project/8381 and pitching in to help these deserving students.